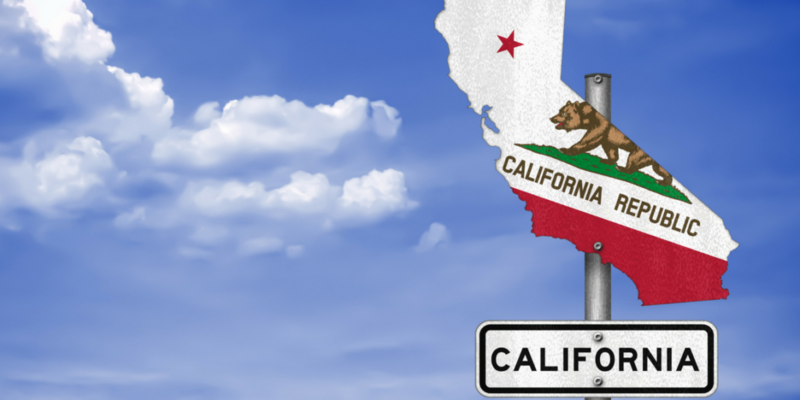 Disclosure: Many of the places recommended in this California itinerary offered me discounted and complimentary goods and services in return for review. Others are simply places I loved and want to recommend to others. All opinions are my own. Have you ever cruised the California Coast? Growing up, my husband and I each took California coast road trips with our families. Now, 30 years later, we both have such fond memories of these California vacations from our childhood. It’s funny to me that we grew up in totally different states and our families didn’t know each other, but our parents each seem to have planned out an almost identical California itinerary for our family road trip vacations. And what’s most impressive is that we both remember the same fun stops we made all these years later. We knew that these places must be super special to have created such lasting memories. So, we decided to re-create this amazing family road trip for our son, Harry. Hopefully 30 years from now he will still cherish his fond memories from our California adventure! There are many different ways to plan a California coast tour. We’ve visited California as a family many times each time focusing on LA, San Diego, San Francisco, or the beaches of Southern California. It’s so fun to explore each area checking out the cities and theme parks. But for this trip, we wanted to focus on the natural beauty of the California coast, with each scenic day culminating in luxury California hotel stay at night. 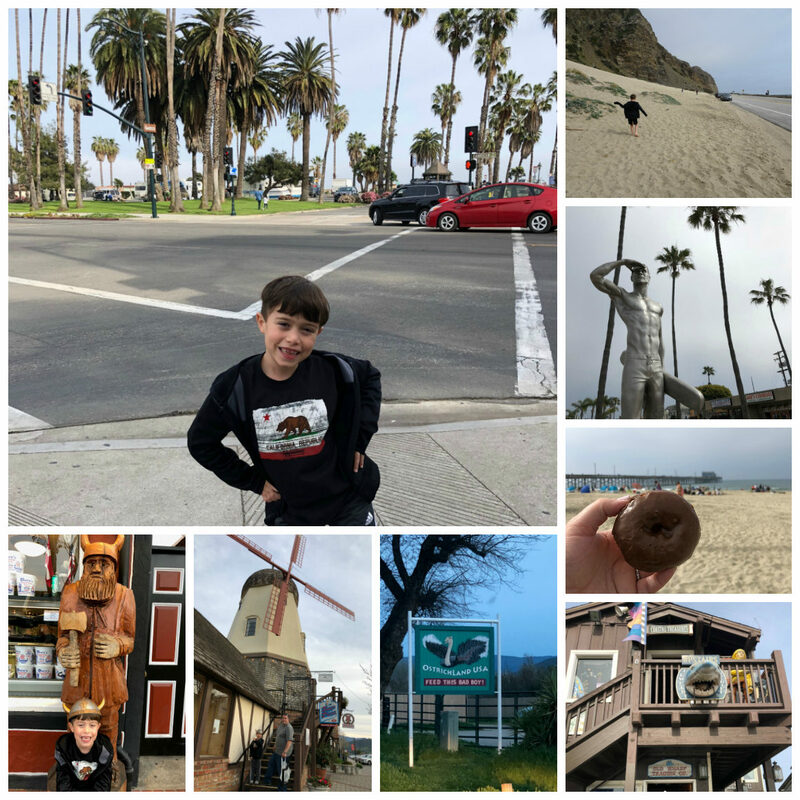 Our goal for this California coast road trip was to experience nature, beaches, cliffs, beach towns, and fun attractions in each town. All while showing Harry the differences in geography, animals and history. 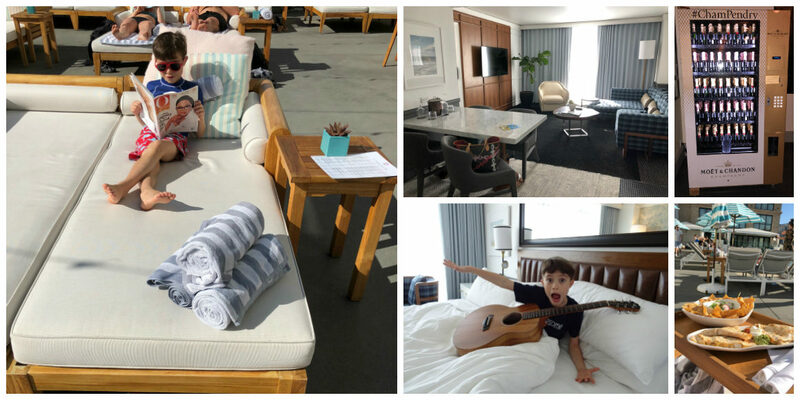 Our California road trip itinerary was pretty fast-paced, so having a really nice place to crash at the end of the day was key to enjoying our vacation! The California coast has so many amazing luxury properties to choose from. For this trip, I chose luxury hotels that I knew would be a treat for our family after a long day on the road and enhance the vibe of our vacation as I planned this itinerary. Some of the hotels are urban, others are scenic beach hotels. All are famous special properties worth traveling to enjoy. We loved each luxury stay for different reasons and highly recommend them all to anyone planning a similar journey! The key to enjoying this West Coast road trip with kids is to be flexible! Make sure you leave room in your schedule for random stops you might see along the way, potty breaks, or delays and detours beyond your control. We originally planned to take the “1” North for the entire trip, but there were times we had to detour to the PCH or the 101 due to landslides, flooding, detours and nasty traffic. Because we were flexible, we totally enjoyed each of the detours, took advantage of stops we wouldn’t have planned and we didn’t let any of it frazzle us. Here’s a list of a few things we recommend you bring to make your California road trip more enjoyable. Audio Books – we listened to Harry Potter and it made the hours on the road fly by! Map – a old-fashioned paper map is a fun thing to bring along for your kids to follow the journey and maybe they can even spot some fun stops along the way! Shiny new pennies and quarters. Almost every town we visited on this road trip has a pressed penny machine. These are an easy, inexpensive souvenir, and you can even buy a collector’s book to display all of them at the end of the trip. These are the stops we made on our family road trip from San Diego to San Francisco. I’ve included many of the details below. In addition to reading our story, Pinterest is a great resource for trip planning. You can get lots more ideas to tailor an itinerary specific to your family’s travel style. 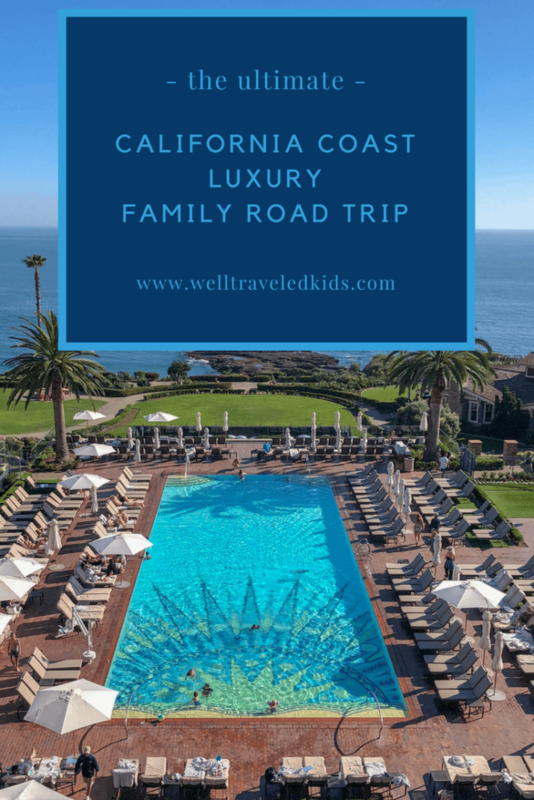 Below is our detailed California road trip itinerary, including where we stayed, what we saw, and a few of our most favorite places to eat. What made this trip so special is that each day, each town and each hotel was totally different. We loved waking up with a totally new adventure to look forward to each day! 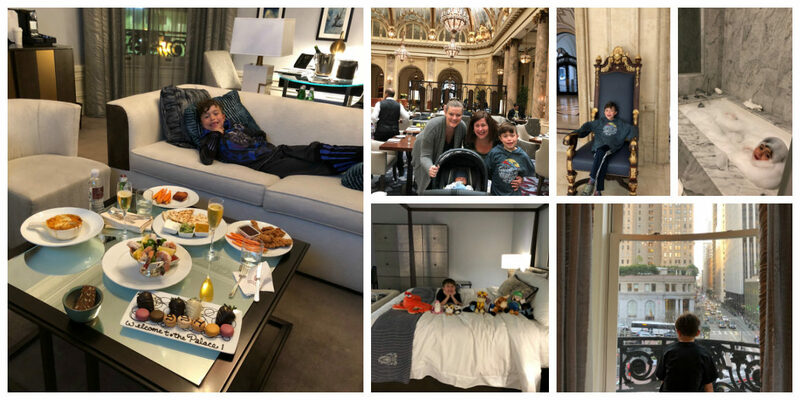 For this trip, we stayed at the luxe Pendry Hotel in San Diego’s Gaslamp District. This upscale hotel is the perfect location for sightseeing in San Diego. The Pendry is a new hotel with an urban luxury vibe. We loved the colorful rooms and the fun with SoCal decor. The hotel is what I like to call hipster fabulous and also very comfortable for traveling families of all ages. We stayed in a posh two-bedroom suite which made it very easy for us to unwind. The pool and pool-deck at the Pendry San Diego are out of this world. I highly recommend spending at least an afternoon splashing around at the pool and ordering some yummy eats poolside. And for any aspiring musicians in the family, you can rent a guitar from the hotel during your stay. This was my son Harry’s favorite part. As for me, my favorite part of the Pendry is the champagne vending machine! San Diego Zoo – This zoo is one of the best in the world! 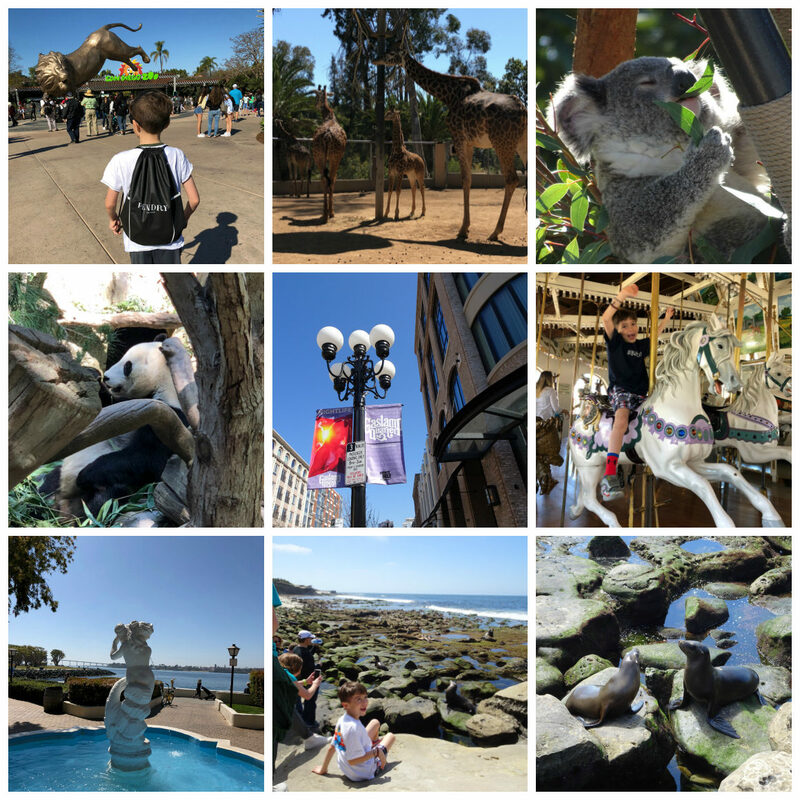 A few of the highlights we loved include exploring the new Africa Rocks exhibit, watching the pandas play, seeing the kolas sleep, and falling in love with the baby giraffe. Gaslamp District– The Pendry Hotel is located right in the heart of the Gas Lamp where you can find great shops, dining, and even see the Padre’s play at Petco Park! Seaport Village – This is the perfect place to find fun souvenirs and admire the San Diego coast all at the same time. We love all the little shops and never leave without buying a few new T-shirts at Crazy Shirts and going for a spin on the carousel! Seal spotting in La Jolla Cove– Nothing beats walking out to the rocks at La Jolla Cove to see the seals and sea lions! We love to go at low tide when you can walk right out close to them and play in the tide pools. There are tons of amazing restaurants in San Diego to explore. However, on this quick trip we grabbed dinner with family and didn’t explore many new places. But two of our favorite spots to eat in San Diego that we always make time for are In-N-Out Burger, which is always a great California road trip stop and also makes for an easy quick bite after a day at the San Diego Zoo. And at George’s at the Cove (upstairs on the Ocean Terrace) in La Jolla for delicious ceviche, fish tacos and more all with an amazing ocean view! After two nights in San Diego, we started our short drive along the coast to our next stop in Laguna Beach. Laguna Beach is one of my favorite Southern California spots. I knew the rest of our trip would involve lots of sight seeing and that the weather would likely be cooler up north so I planned one perfect beach day in Laguna to make the most of the Southern California Coast. 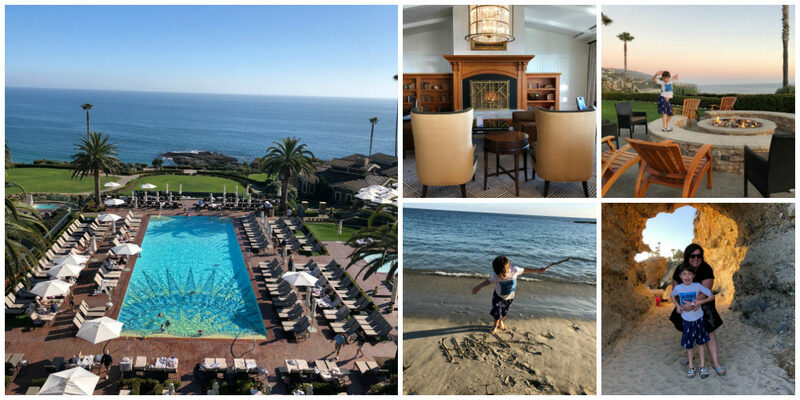 With so much sightseeing in San Diego, we were happy to just relax at the luxurious Montage Resort in Laguna Beach. The Montage Laguna Beach is a super gorgeous beach resort with a prime location overlooking Laguna Beach. This is the kind of resort you don’t need to leave, and you won’t want to! A stay at the Montage is all about enjoying your surroundings here. We visited during whale season, so in addition to enjoying the beach, tide pools, and the amazing swimming pool, we were able to watch the whale migration from the beach at the resort. Sunsets are incredible at the Montage and we cherished our evening watching the sun go down together by the beach and the pool. We also loved the our dinner at The Loft restaurant in the hotel. The Loft has a fun atmosphere and boasts amazing views of the pool and the beach. 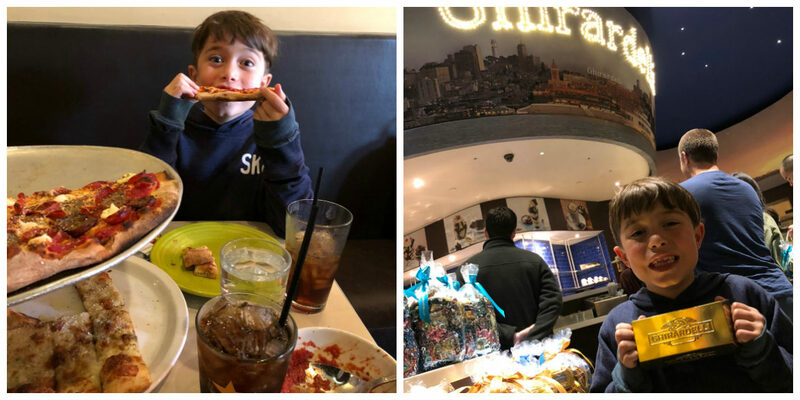 From organic chicken on the kids menu to tasty California cuisine and delectable desserts this restaurant was a hit with our family! In fact I highly recommend everything about this luxury property for families! If only our itinerary would have allowed for more time here we absolutely would have stayed longer. I know Harry would have loved to spend a day enjoying the kids club. And I would have loved to check out the award winning spa. Oh well, those are excellent reasons to return again soon! Santa Barbara: Stearn’s Wharf is a fun stop with lots of little shops, ice cream parlors, candy shops and souvenir places. This is also where the whale watching cruises depart. You can drive your car right onto the pier, which is a pretty unique experience. After walking around a bit, we then drove into town for more strolling along the famous State Street. We then used our Waze App to shave 30 minutes from our drive to Solvang. This adorable village was built in the 80’s to resemble an authentic Danish town. We loved checking out the windmills with little Dutch shops, bakeries, fudge shops, restaurants, antique galleries, toy stores and statues. On the way out of Solvang, we got a kick out of watching the ostriches running around at Ostrichland USA. We bypassed both Los Angeles and Disneyland on this trip which are both amazing stops. We’ve been to Disneyland many times, so we passed by on this trip, but if you haven’t been, it should definitely be on your itinerary. We’ve got lots of tips for visiting Disneyland as a family! 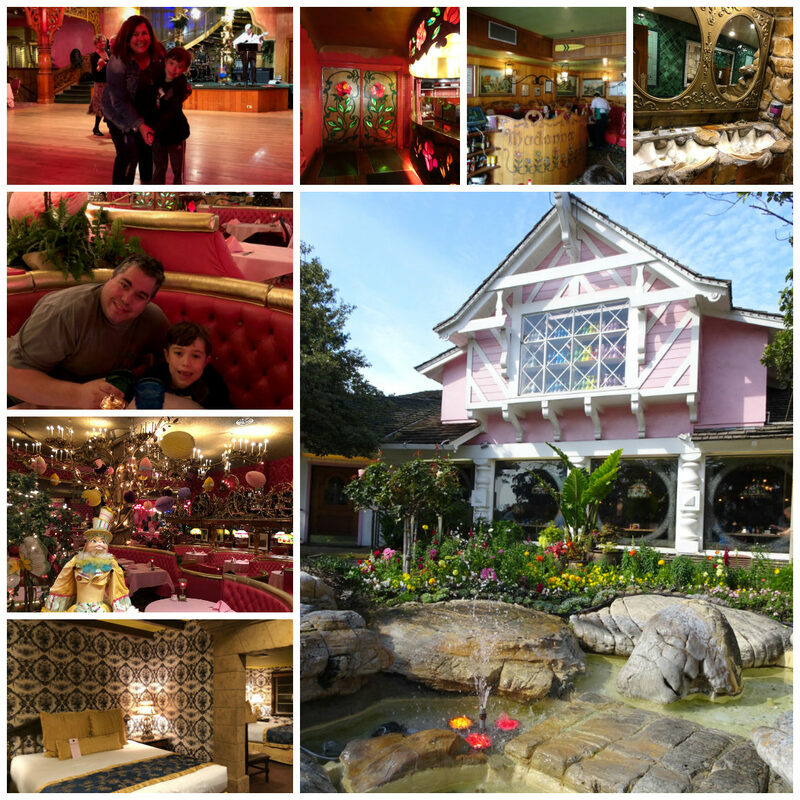 After a long, fun day of driving, we stayed at the historic Madonna Inn in San Luis Obispo. My husband and I both remembered this hotel from our childhoods. While it’s definitely not a luxury hotel, it’s certainly not inexpensive to stay there. We had a very memorable experience and Harry loved it! This kitschy resort was built in the 1950’s and is famous for unique hotel rooms with waterfalls and rock formations. If you want a specific themed room, you’ll want to book way in advance. We stayed in the Portugal Room, which had Portuguese tiles throughout and 2 king beds, but otherwise wasn’t anything particularly memorable or unique compared to some of the other rooms the hotel is famous for. Harry wants to return and book the Jungle Room next time! Even if you’re not staying at the Madonna Inn, we highly suggest eating at the on-site restaurants, which you can reserve at OpenTable. Copper Cafe – great spot for breakfast before another fun day of driving. The restaurant is decorated in a way that feels like your eating inside of the 7 Dwarves cottage! Less than one hour from San Luis Obispo, our first stop is San Simeon, where we had tickets to tour Hearst Castle. Both my husband and I fell in love with Hearst Castle as kids and we couldn’t wait to take Harry to explore this beautiful American castle! Daily tours of the castle are offered every 15-20 minutes. However it’s very important to book in advance because they fill up! 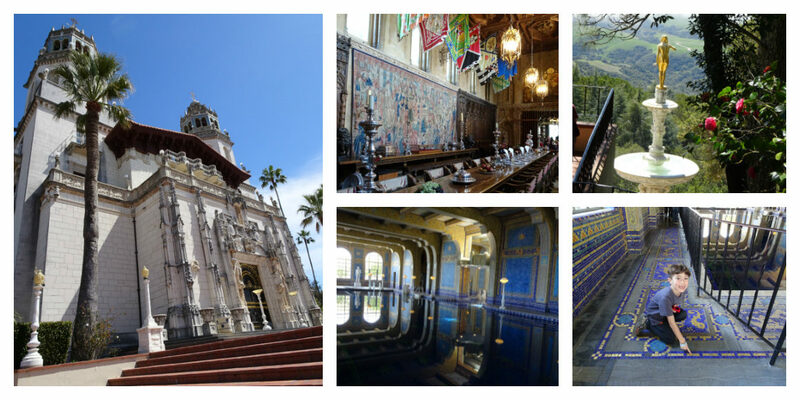 You don’t want to drive all the way up to Hearst Castle without reservations. Plan to arrive about 1/2 hour before your reservation. Allow at least 3 hours for your visit. It takes about 30 minutes by tour bus to arrive at the castle, and you definitely want to have time to see the movie which is included in the tour. Harry totally loved seeing a real castle and learning about a man who grew up before technology and camped on the land before building the palace on the hill. He was in love with the Neptune Pool and adored the gold tiles that made the pool sparkle. I loved learning the story about his mother who took him to travel the world at 10 years old. That trip with his mother inspired so much of his life including the idea to build the castle. William Randolph Hearst was a true Well Traveled Kid! From here, we planned to drive North to Big Sur, but due to road closures, we had to detour to the 101 North instead. This ended up being a beautiful drive with mountains, vineyards and central coast farms. Remember be flexible and enjoy the journey! We chose the Inn at Spanish Bay for our three-night stay in Pebble Beach. This is a stunning luxury golf resort. Located within Pebble Beach, this is one of the resorts where all of the famous award-winning golf courses are found. You don’t have to be a golfer to appreciate the beauty. The Inn At Spanish bay sits on some of the most jaw dropping beautiful coastline I’ve ever seen. The resort makes it easy for guests to really relax and enjoy vacation. Luxe rooms have gorgeous views, and fine hotel amenities. An added charge on each guestroom includes gratuities, so it’s really nice to not worry about carrying cash around all the time. We loved the complimentary mini-bar in our room that was filled with yummy snacks and drinks each day. The big draw for us are the beautiful views overlooking Pebble Beach golf course and the ocean. Every evening, the patio outside Roy’s restaurant has a bagpiper performance on the golf course. Hotel guests gather to watch the bagpiper at sunset. This was Harry’s absolute favorite part! Guests of the hotel have can book golf and other activities within Pebble Beach. We aren’t golfers, but if we were you can bet we would have played. 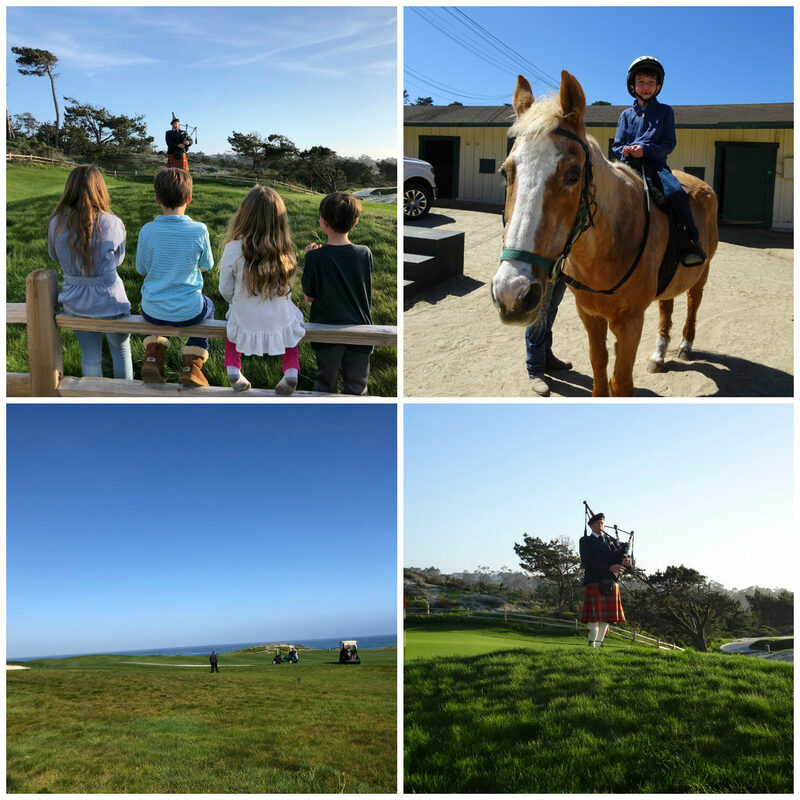 Instead, Harry enjoyed a visit to the Pebble Beach Equestrian Center for a super funpony ride. The Inn at Spanish Bay was an amazing place to make our home for a few days while we explored this area of the coast. 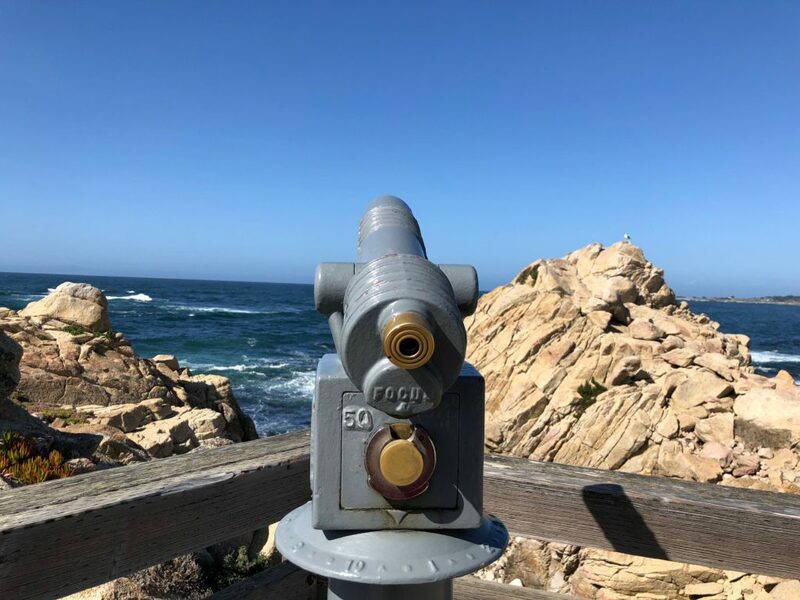 Pebble Beach 17-mile drive – great coastline drive with lots of stops for playing on rocky beach. This is also where the iconic “Lone Cypress” can be found. We used the Pebble Beach App to chart our course and we all fell in love with each stop. Big Sur – we spent one day driving down to Big Sur and enjoying many lookout points along the way, shops, roadside stands and looking for Jade along the coast. Monterey Aquarium – Monterey Bay Aquarium is outstanding and only a 10 minute drive from the hotel. A visit is an absolute must if you are traveling up the coast. This is the aquarium that the movie Finding Dory modeled it’s aquarium off of, so it’s fun to see all the similarities to the movie. 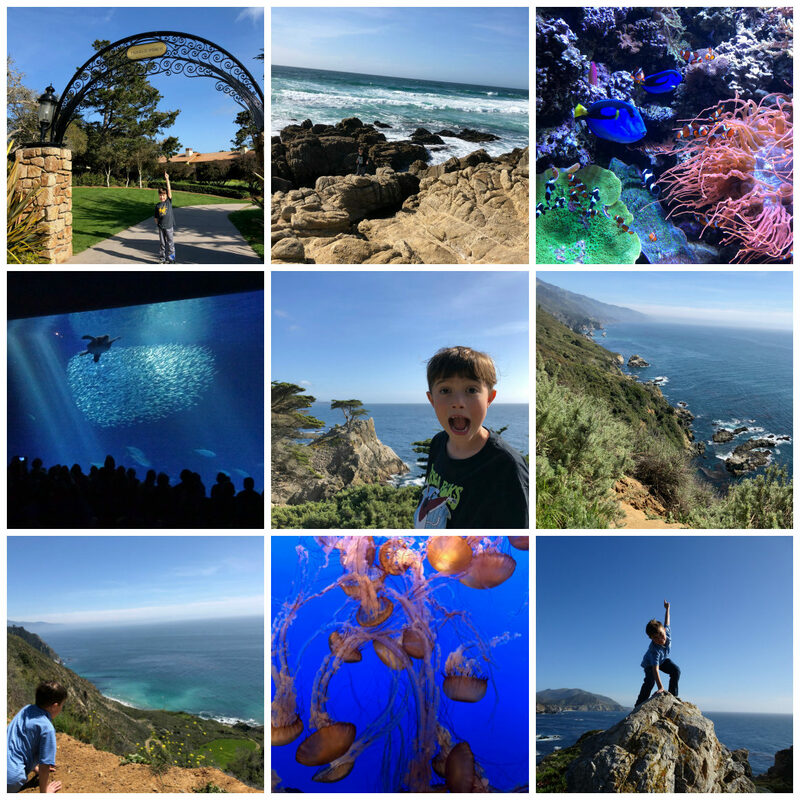 We especially loved watching the adorable otters play both at the aquarium and outside in the wild on Monterey Bay. Cannery Row – After visiting the Monterey Bay Aquarium we spent the afternoon hitting the souvenir shops while walking along Cannery Row. We loved playing on the beach and watching the otters play out in the bay while we ate lunch. Carmel by the Sea & Carmel – Both Carmel by the Sea and the city of Carmel California are delightful areas. We love to check out the shops and restaurants and beaches in these areas. We enjoyed some great meals in Pebble Beach including these 3 can’t-miss spots. Sticks is the 19th hole at the Inn at Spanish Bay. Super fun restaurant to sit outside by the fire pits or grab a meal in the sports bar. 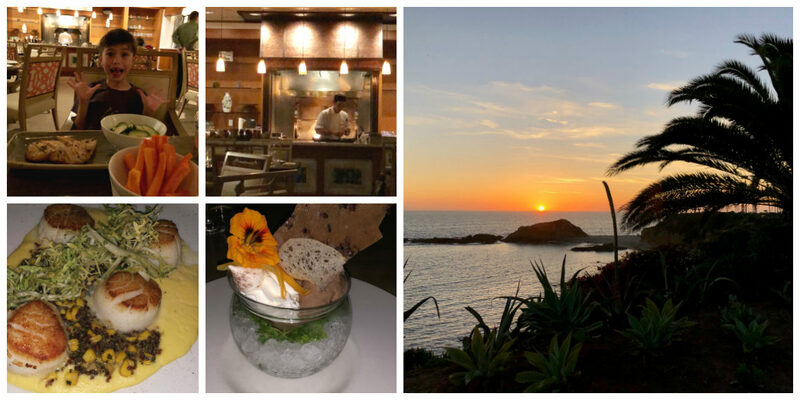 Roy’s at Pebble Beach – We’ve always enjoyed Roy’s restaurants in Hawaii and this one was just as good. We enjoyed both Sunday brunch and then came back a weeknight dinner during our stay! Our final drive along the California coastline takes us 120 miles north to San Francisco. We made a point to stop and spend the day in Santa Cruz along the way. 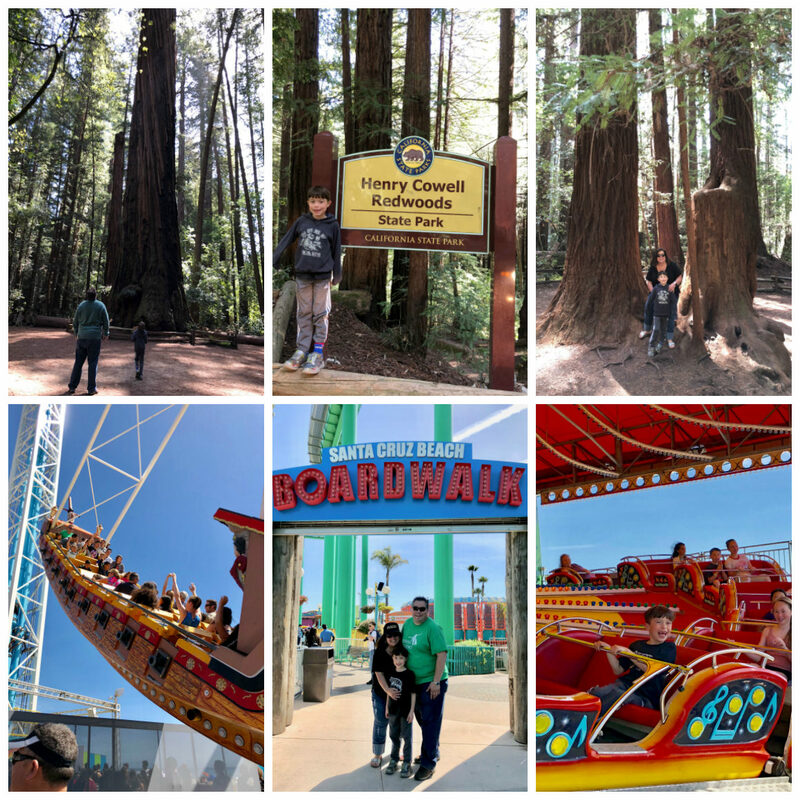 We enjoyed a short hike at Henry Cowell Redwoods through some of the largest redwoods. The walking tour is a flat 1 mile easy stroll through the woods. The redwoods are massive and thousands of years old. You really have to see them to appreciate how grand and majestic they are. Next, we visited the Santa Cruz Boardwalk. This place really exceeded my expectations. The boardwalk is really well done, and sits on a very nice stretch of beach. Between carnival rides, fair-style food and the beach, you could easily spend the day going back and forth from beach to pier. Harry loved every minute we spent there and he can’t wait to go back! I would have loved another visit to Half Moon Bay, but we were also excited to get to San Francisco at the end of our road trip. So we headed directly on to San Francisco after we left the Santa Cruz Boardwalk! One of my favorite San Francisco luxury hotels is the historic and recently renovated Palace Hotel. The Palace Hotel is one the most historic buildings in San Francisco. Inside, the entire hotel glistens with a historic glamor that can’t be beat. I’m certain that the charm of this fancy old hotel makes a big impression on kids because I still remember loving staying here with my parents when I was a kid! When it comes to spacious hotel rooms, the Palace Hotel really caters to families. We have stayed here twice with Harry and both times we’ve been treated like royalty. This visit we stayed in an enormous and beautifully decorated 2 bedroom suite with amazing San Francisco street views. We loved spreading out and relaxing with room service after a long day of sightseeing. Off the lobby, the Garden Court restaurant has a beautiful atrium under an elaborate glass domed ceiling that’s over 100 years old. I highly recommend the breakfast buffet or brunch here, even if you aren’t lucky enough to be staying in the hotel. Another perk I love about staying The Palace is the indoor pool under another gorgeous domed ceiling which is also an original from over a century ago. The pool is especially fun at night because you can see the lights of the city. The indoor pool really makes The Palace a great place for families to relax and play while staying in San Francisco. I mention this because not a lot of other San Francisco hotels have pools. 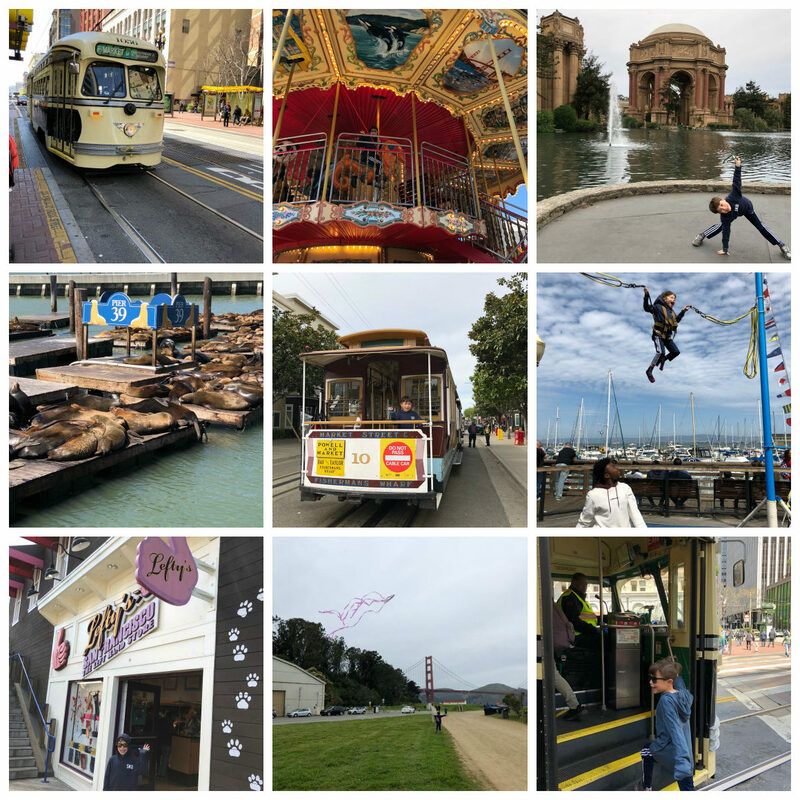 One of our favorite things to do in San Francisco is to experience all the different modes of transportation. Getting around town using streetcars and trolleys is fun for both kids and adults. The amazing concierge staff at the Palace Hotel will be happy to map out the best ways to get around the city taking advantage of trolleys and streetcars. We always make a stop at Pier 39. Here you can walk out back and see all the sea lions that hang out on the docks. There’s also a giant double decker carousel in the middle that’s super fun for kids. Harry likes to ride the super high-up horses and wave down at the crowd. The pier is loaded with lots of souvenir shops, restaurants and fudge shops. Harry remembered visiting Lefty’s the Left-Hand Store from our last visit, so we had to stop in again to buy some special left-handed supplies. Don’t miss Frequent Flyers, a bungee-trampoline spot overlooking the marina where kids can bounce in the air and watch boats coming in to the pier. Flying a kite is always a fun adventure in San Francisco. We walked down to Fisherman’s Warf and bought a kite at San Francisco Kite company. Next we headed over to Crissy Field under the Golden Gate Bridge to fly it. This was something we enjoyed on our last trip to San Francisco, so we made sure to do it again this time! Tony’s Pizza Napoletana – Tony’s proprietor, Tony, opened this unique spot in 1991. He has prided himself on perfecting many kinds of pizzas famous in different cities, which are all baked in different ovens. Harry chose the Coal Fired New Yorker Pizza because it’s baked at 1000 degrees in the hottest oven. This would be a super fun place to come with a large group so you can order a bunch of different pizzas and compare! Ghirardelli is a San Francisco must for chocolates and sundaes. It’s fun to go to Ghiradelli square but if you are staying at the Palace Hotel you can just go downstairs and enjoy a sunday in the attached Ghirardelli shop!